An AMBER ALERT has been issued after determining that 31 year old Jo Ann Bain and her three daughters could be in extreme danger. 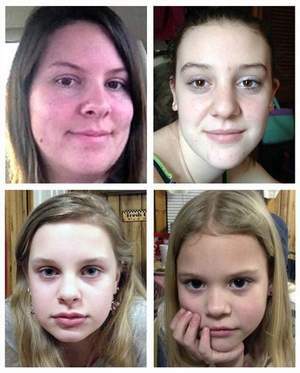 Jo Ann Bain and her three daughters, Adrienne, 14; Alexandria, 12; and Kyliyah, 8, have been missing since April 27, 2012. They are believed to have been kidnapped and abducted. Tennessee has also issued an AMBER ALERT as well. Police believe that the Tennessee mom and her three daughters are with 35 year old Adam Christopher Mayes of Guntown, MS. According to the Tennessee Amber Alert, information has been developed during the investigation that the children may be in extreme danger. Warrants for kidnapping are being issued for Adam Mayes. He has an additional warrant on file for false report with full extradition and is believed to be carrying a firearm. Mississippi police have issued an Amber Alert after new details have led them to determine a missing Tennessee mother and her three daughters were abducted and could be in extreme danger. Jo Ann Bain and her daughters Adrienne, 14; Alexandria, 12; and Kyliyah, 8; have been missing since April 27. They were last seen leaving their home in Whiteville, which is located between Jackson and Memphis, on the morning of their disappearance. Police said they have reason to believe the missing mother and her three daughters are with Adam Christopher Mayes, 35, of Guntown, Miss. Jo Ann Bain’s abandoned Dodge Durango was found on a country road less than three miles from her home, the three girls have been registered with the National Center of Missing and Exploited Children. 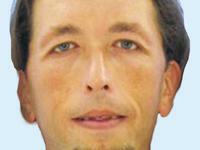 Authorities have begun to issue kidnapping warrants for Adam Mayes, who is considered armed and extremely dangerous. Mayes was last seen in Guntown, Mississippi on Tuesday May 1, 2012. They may be going to Arizona or Mississippi. Mayes was last seen in Guntown, but has a Highway 9 address in Union County. The mother has been identified as Jo Ann Bain, a white female with brown hair and brown eyes. She’s 5′ 3″ tall and weighs 130 lbs. Her three children are Adrienne, Alexandria and Kyliyah Bain. Adrienne has brown hair and brown eyes, stands 5′ 4″ tall and weighs 129 lbs. Alexandria has brown hair and hazel eyes, stands 5 feet tall and weighs 105 lbs. Kyliyah has blonde hair and brown eyes, stands 4 feet tall and weighs 57 lbs. All four are from Hardeman County, Tenn., according to authorities. Adam Christopher Mayes is said to be a person of interest. Description of suspect Adam Christopher Mayes. Mayes has brown hair and blue eyes, stands 6′ 3″ tall and weighs 175 lbs. Law enforcement says Mayes has already altered his appearance by modifying his hair. They say he may also have cut the hair of the children and dyed it an unknown color. The scenario to this case is a bit convoluted. Jo Ann had posted on FACEBOOK that the family was moving back to Tucson, AZ a few days prior their their disappearance. Jo Ann is married to Gary Bain, they are not seperated. They have been married for about 11 years and Kyliyah is their child. Adrienna and Alexandria are Jo Ann’s daughters from a previous marriage to Mark Johnson. Then there is so-called family friend and POI, Adam Christopher Mayes. Deputies revealed that Bain’s husband was the adoptive father of two of the girls and biological father to one. The entire family was planning a move to Arizona last weekend; exactly when Jo Ann, Adrienne, Alexandria, and Kyliyah disappeared. “One of the children has asthma and they say it’s better for the child out there as far as the atmosphere and lack of humidity,” added Sheriff Doolen. FACEBOOK: Help Find Jo Ann Thompson Bain and Daughters. Anyone with information is asked to contact the Mississippi Bureau of Investigation at (601) 987-1353 or 1-800-TBI-FIND. 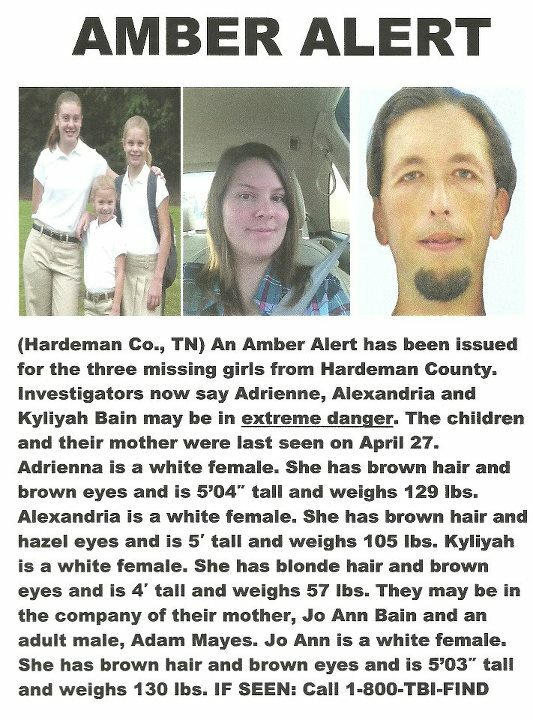 UPDATE I: FBI says they have found two bodies during the search for three West Tennessee girls. According to reports the bodies found are in connection with the case of missing Jo Ann Bain and her three missing daughters. The bodies were found at the home of Adam Mayes in Guntown, MS. Also, Joe Ann Bain also has been listed as a suspect in the case and removed from the Amber Alert. FBI officials say they have found two bodies during the search for three West Tennessee girls who have been missing since last month. Investigators found the bodies while executing a search warrant in Guntown, MS, Friday. The FBI hasn’t released the victims’ causes of death or their identities. UPDATE II: Mother Jo Ann Bain taken off the Amber Alert after authorities find bodies at one of the residences of suspect Adam Christopher Mayes. For updates, opinions and to discuss the case of missing Jo Ann Bain and her three daughters, Adrienne, Alexandria and Kyliyah, go top Scared Monkeys Missing Persons Forum.